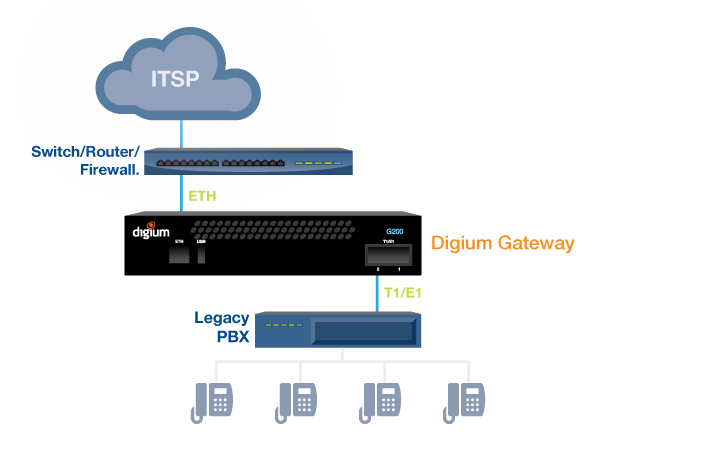 Digium provide business media gateways for bridging VOiP and TDM gateways. Digium IP Media Gateways are industrial grade high-performance appliances. The combination of a state of the art embedded hardware architecture and a software architecture built upon the Asterisk communications engine gives the G-Series its rock-solid reliability. Digium is the global leader in the manufacture of telephony interfaces cards. Companies have come to trust Digium quality which has been ISO 9000 certified since 2008. 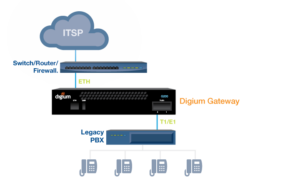 Digium designed VoIP Gateway appliances are built upon an embedded design so there are no moving parts. This means Digium Gateways run cool and last long. Asterisk is the world’s leading open source communications platform. Deployed in over 170 countries around the world from small businesses to Fortune 500 companies. By leveraging the power of Asterisk, Digium is able to engineer gateways with amazing performance. 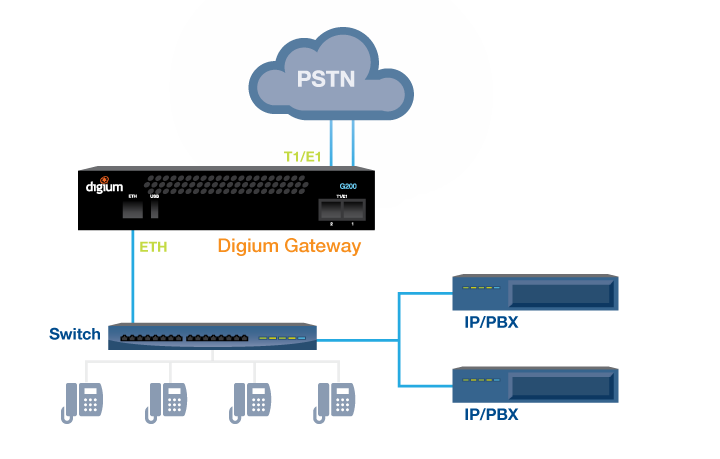 And, because Asterisk is open source, Digium gateways provide high-quality media conversion at an extremely compelling price-point, making Digium Gateways the best value on the gateway market. 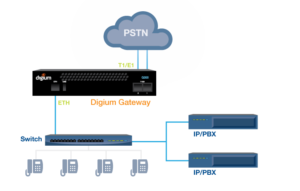 A VoIP gateway can connect a modern VoIP-only system, for example, a virtualized IP PBX, to a PSTN PRI trunk. An IP Media Gateway can be used to upgrade a legacy business phone system allowing it to use a SIP trunk out to an ITSP. SIP Trunks are more cost-effective than expensive legacy T1 lines. Lorna Riddle, Distribution and Channel Sales Manager, Digium.